The man who fatally shot two volunteer firefighters today near Rochester, N.Y., as they arrived to extinguish a blazing house and car has been identified as a 62-year-old man convicted in 1981 of killing his grandmother. William Spengler served 17 years in prison for manslaughter, police said. He was released in 1998 and forbidden to possess firearms. Spengler opened fire on first responders as they arrived, having taken up a sniper position on a berm near the burning house, police Chief Gerald Pickering said at a press conference. "It does appear that it was a trap that was set for first responders." He said police in the area knew of Spengler's background, but hadn't had any specific interaction with him that might have provoked the shootings. 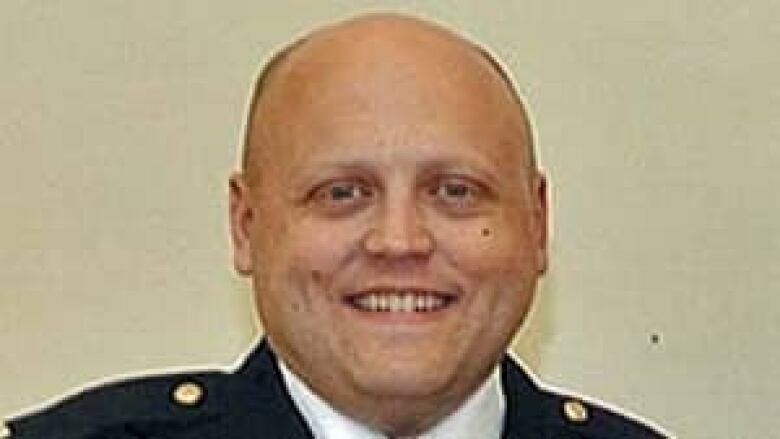 The chief said Spengler had mental health issues that were a concern. Spengler had beaten his grandmother to death with a hammer, media reports said. The killing occurred on July 18, 1980, in the house next door to 191 Lake Road, where Spengler lived. Police and firefighters arrived at the scene before dawn. After an initial exchange of gunfire with an on-duty police officer, Spengler apparently fled on foot. He ultimately died of a self-inflicted gunshot to the head, the chief said. At the time, police and firefighters were trying to evacuate nearby houses, find the shooter, and stop the fire from spreading. Emergency radio communications capture someone saying he "could see the muzzle flash coming at me" as Spengler carried out his ambush. The audio posted on the website RadioReference.com has someone reporting "firefighters are down" and saying "got to be rifle or shotgun -- high powered ... semi or fully auto." Police later recovered both the shooter's body and the weapon used. Pickering choked up as he named the two men who had been killed — one of whom was both a police officer and a volunteer firefighter — and the two firefighters who were in hospital. Lt. Michael Chiapperini, of Webster police and West Webster Fire Department. Tomasz Kaczowka, a volunteer with the fire department. As well, an off-duty police officer from Greece, N.Y., just west of Rochester, was injured by shrapnel and taken to hospital. He had been driving past and stopped to help. Pickering described Chiapperini, 43, as a "lifetime firefighter" with nearly 20 years with the department, and he called Kaczowka a "tremendous young man." Chiapperini had been named firefighter of the year in the Webster department a year ago. He was also the police department's official spokesman. The two wounded firefighters were in guarded condition in the intensive care unit at Strong Memorial Hospital in Rochester, authorities said. Both were awake and alert and are expected to recover. The gunfire initially kept firefighters from battling the blazes. Police said four homes were destroyed and four damaged. Two of the firefighters arrived on a fire engine, and two in their own vehicles, Pickering said. After the gunman fired, one of the wounded men managed to flee, but the other three couldn't because of flying bullets. A police armoured vehicle was used to recover two of the men, and eventually it evacuated 33 people from nearby homes, the police chief said. The fire was left to burn and spread to adjacent houses while police moved in. By 9:45 a.m., after the shooting had stopped, firefighters had resumed combating the fire. People leaving the area were searched by New York state police and other authorities before being taken to a Rochester transit bus that was commandeered for the evacuation. Fire marshal Rob Boutillier said one wounded firefighter managed to get away from the scene to his car and was taken by ambulance to hospital, the Democrat and Chronicle reported at its website. 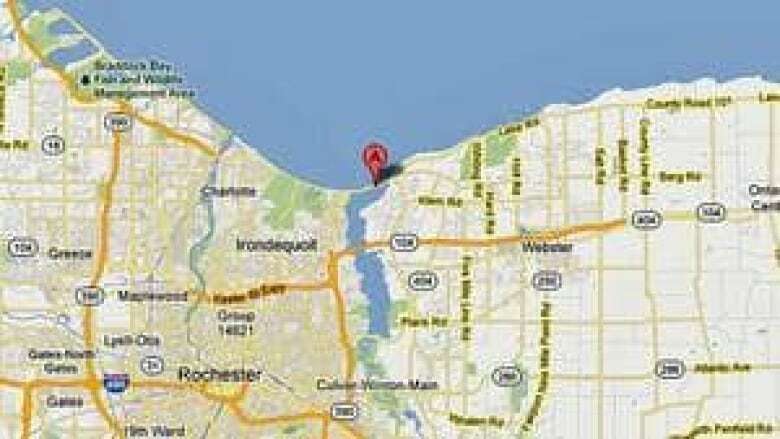 The area around the burning houses stretches along a narrow strip of land with Lake Ontario on one side to the north and Irondequoit Bay on the south side.